On May 23, 2012, Titan a German Shepherd trained by his human companions Kiley and Jared Spade earned his Advanced Trick Dog Title during an Advanced Circus Dog class. He was evaluated by Michael Burkey, owner and trainer at the Michigan Dog Trainer who is an Associate Trick Dog Instructor for Kyra Sundance‘s program, Do More With Your Dog. For the Advanced title, Titan has had to demonstrate a total of 32 tricks. Way to go Titan! 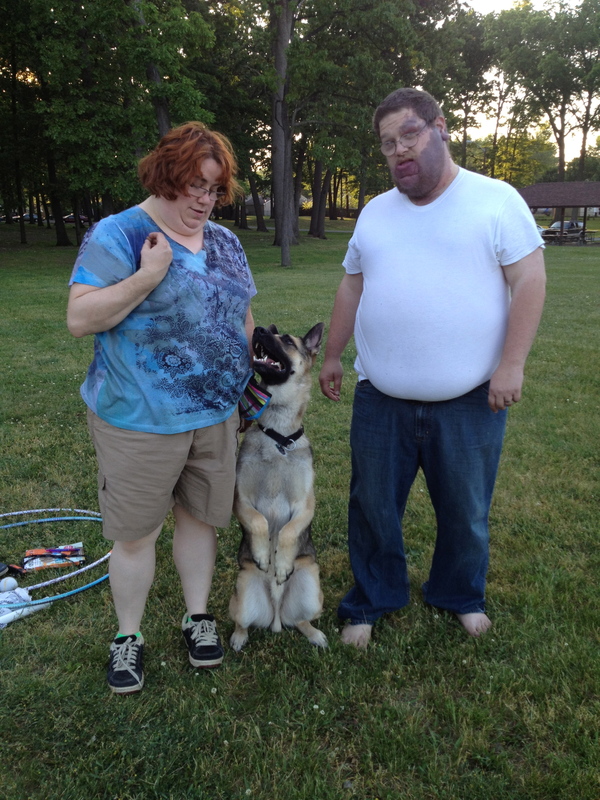 If you want to teach your dog new tricks and earn trick titles, check out Michigan Dog Trainer’s Circus Dog Classes. This entry was posted in Trick Dogs, Uncategorized and tagged Circus Dog, Do More With Your Dog, Kyra Sundance, michael burkey, Michigan Dog Trainer, trick dog. Bookmark the permalink.